It’s no secret that healthy living is important, but getting in shape when you have kids can be tough. Maybe you stopped exercising when you had kids because you were tired. Maybe your job schedule made it difficult to squeeze in workouts. Perhaps you just got busy with life and stopped jogging as much as you used to. No matter the reason you stopped exercising, it’s time to start again. Even if you have kids, you can still reclaim your health and get fit. Working out with your family can be a great bonding experience that brings you closer together. Here’s how you can make it happen. One of the biggest mistakes families make when starting an exercise program is expecting things to just fall into place. Unfortunately, most families need a set workout schedule. Between driving your kids to school, getting to work on time, balancing meetings and handling after-school activities, you’re probably already incredibly busy. While there’s nothing wrong with throwing a fitness plan into the mix, it’s important to schedule your workouts to ensure they happen. Remember that even the best intentions are useless when you’re busy with other things. Consider starting with two or three workouts each week and marking them on your calendar. Make sure your kids know when you’re going to exercise, so they don’t make plans during those times. If you don’t already have a family calendar, consider downloading an app you can use together to sync your schedules. 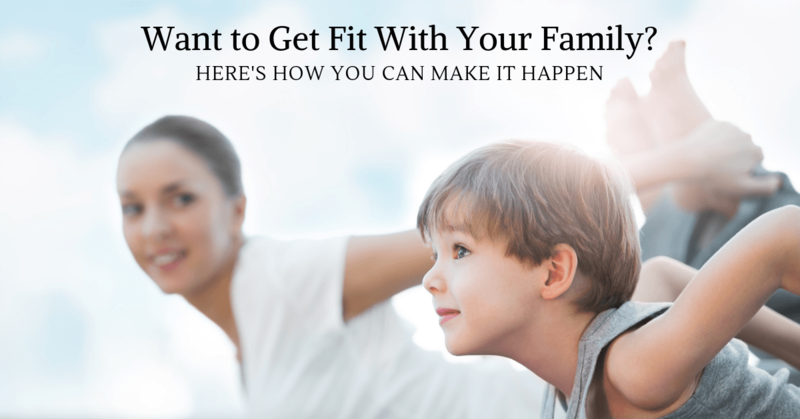 Many families want to exercise together but find that working out can be incredibly boring. It doesn’t have to be! No matter what type of exercise program your family wants to participate in, there are ways you can spice things up and keep them interesting. For example, you could listen to fun music while you exercise. You could go walking in a different neighborhood. You could try a dancing video game. You could play an active video game like Pokemon Go. You could even sign up for a dance class together. The possibilities are endless! Don’t be afraid to get creative with your workouts. Make sure you focus on building your relationship as you exercise. Your goal shouldn’t be to compete with one another. Instead, make sure you’re communicating during your workouts. Use this time to talk with each other, share experiences and grow together as a family. Something as simple as asking your kids how their day was can go a long way in opening communication. You can also allow your kids to take turns choosing how you’ll exercise. This will make your kids feel included and important. Whether you want to lose weight or simply live a healthier lifestyle, don’t be afraid to get your kids involved in your fitness routine. Exercising together as a family can be an incredibly rewarding experience in more ways than one.